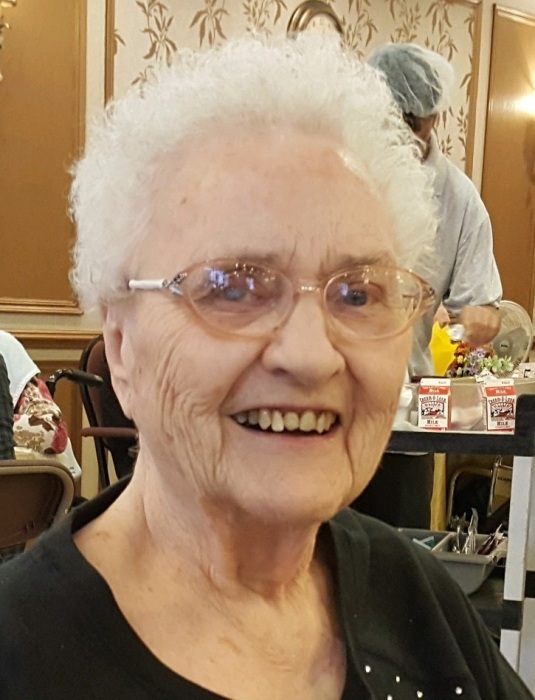 Obituary for Catherine Devaney | Shore Point Funeral Home and Cremation Services, Inc.
Catherine Devaney, 86, of Matawan, New Jersey, formerly of Hazlet, passed away peacefully surrounded by her loving family on Tuesday, April 2, 2019 at Arnold Walter Nursing Home in Holmdel, New Jersey. Catherine was born on January 14, 1933 in Scranton, Pennsylvania and grew up in Wilkes-Barre, Pennsylvania. In 1950, she relocated to the Oranges in New Jersey, before moving to Brooklyn in 1954, where she started her family with her husband, Richard. In 1970, they settled in Hazlet, New Jersey, where they continued to raise their family together. She was predeceased by her parents, John and Catherine Clinton, her devoted husband, Richard Patrick Devaney Sr., her dear brother, John Clinton Jr., her beloved sons, Richard Patrick Devaney Jr. and John Edward Devaney, and her cherished grandson, Tyler Devaney. Catherine is survived by her loving daughters, Carol Rechten and her husband, Keith, of Union Beach, New Jersey and Cathy Egan and her husband, Bobby, of Hazlet, New Jersey, along with her cherished grandchildren, Michelle Kenny, Michael Rechten, Robby Egan, and Brian Devaney and her 6 adored great grandchildren, with one on the way. Catherine will be sadly missed, but never forgotten. Family and friends are invited to visit on Wednesday, April 3, 2019 from 3:00 to 7:00 PM and Thursday morning, April 4, 2019 from 10:00 to 10:45 AM at the Shore Point Funeral Home and Cremation Services, Inc., 3269 State Highway/Route 35 North, Hazlet, New Jersey 07730. A funeral service/prayer service will be offered at the funeral home on Thursday morning, April 4, 2019 at 10:30 AM. Entombment will follow at St. Joseph Cemetery Mausoleum, 360 Broadway, Keyport, New Jersey 07735. For information, directions, or to send condolences to the family, please visit, www.shorepointfh.com.